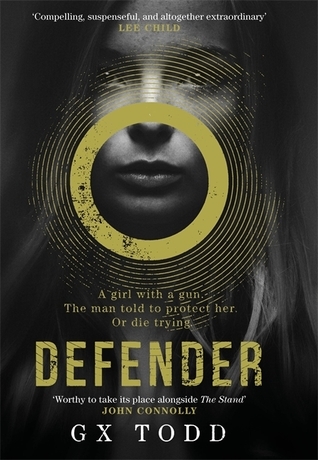 Defender is a thriller, of sorts. It’s also part horror, and you could argue there’s a dash of sci-fi in there too. It’s also startlingly original, blackly comic, bleakly desolate, with an utterly fantastic cast of characters, and a setting which just oozes menace. It’s one of those ‘just one more chapter’ books, which keeps you up until far too late. It’s dark and brutal, and definitely not for the faint-hearted, but if you give it a chance, it’ll grab you by the hand and take you on a dust-soaked ride across the wilderness to some places you’ll not soon forget. It’s a stunning debut, and I highly recommend it. Yes, it’s going to be one of those books that I pester you about until you give in and read it. You may as well just go and read it and save yourself the nagging. I can’t wait to find out where book 2 will take us. I just know that it can’t get here soon enough.